Leggings or tracksuit bottoms, T shirt, barefeet. Long hair may be tied back. Classes can be booked by the half term, which is usually 6 or 7 weeks, or by the session. Fees are £8.50 per class in advance, or £10 on a pay-as-you-go basis. You may also like to bring a blanket or towel to rest you head in relaxation. Yoga is a fantastic way both to exercise and keep yourself healthy. Most people think that yoga makes them more flexible, which of course it does! But it also strengthens and lengthens muscles, burns calories, keeps joints healthy and reduces stress (studies have shown that yoga reduce levels of the stress hormone cortisol). 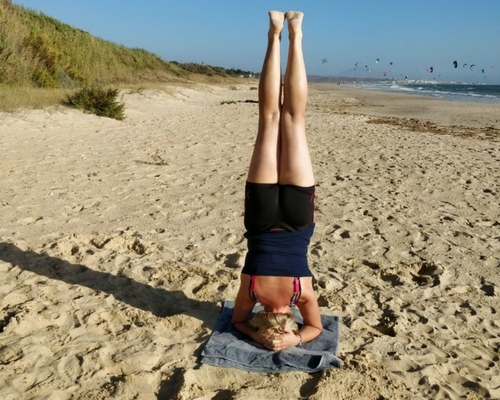 Jenny Phillips is trained in Iyengar yoga. It is based on the work of BKS Iyengar, who lived a full and healthy life until the age of 95. 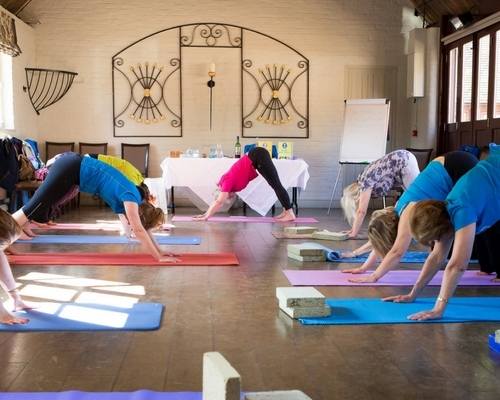 We focus on alignment in the postures, and use supports such as blocks, bricks and a belt so that everyone can access the class irrespective of ability. Please contact me to book your first class (07904 438411). We have spaces on either Tuesday morning or evening. For more info please contact me as above.